Angle grinding has been around for a while now, but Merlin takes it to a new level:- ON STILTS!! Various costumes available with grinding plates on the arm, crutch and even on a guitar, which are guaranteed to spark of some serious excitement in your club or at your event!! 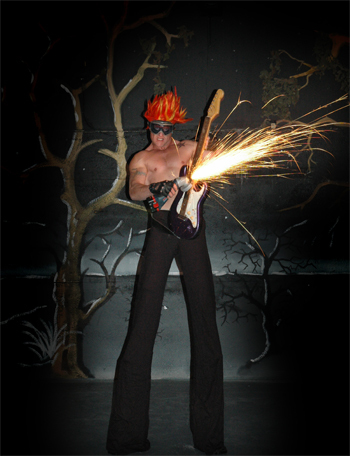 Book angle grinding with a stilts / statue / glow or fire juggling package for your event or club and make your function rock! !